This bright new Denver-based consulting firm deploys a fresh and enthusiastic workforce under the guidance of seasoned senior consultants. They bring expertise and energy to complicated projects like billing systems, inventory management processes, and call center structures. Founder Rick Warter reached out to Peak Creative for help in developing an identity that would help him tell the story of his company’s unique charter. 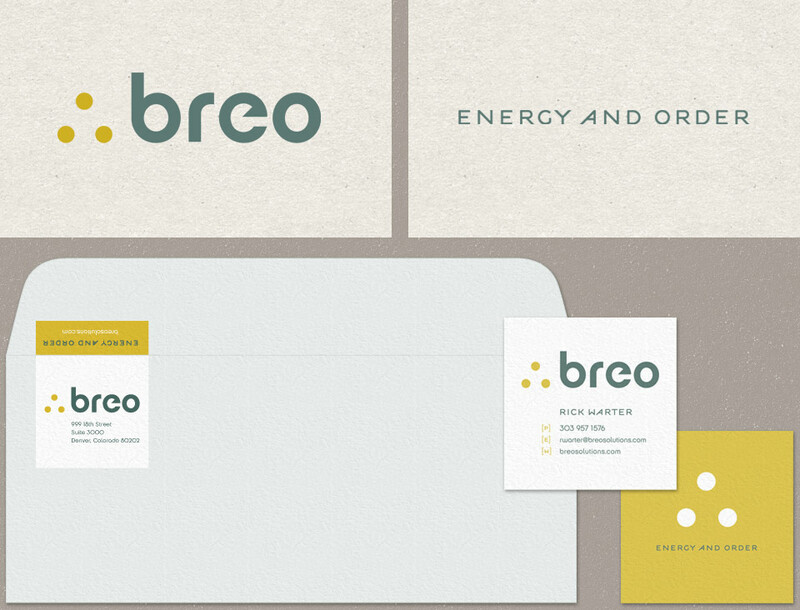 And the Breo brand was born. This clean and beautiful website was built in WordPress and designed to grow with the business. Peak Creative put a spin on the Italian word "Brio," which means "with vigor or great energy," and came up with Breo: Bringing Energy and Order. This solution-driven business now has a logical logo mark as well: a "therefore" sign, which is placed before a logical consequence in mathematical proofs. We'd love to hear from you. Chat us up about what you need, tell us how we’re doing, or simply ask for more info on Peak Creative.